Note : Prices are in Canadian Dollars, F.O.B. Mississauga, ON. For 2+ Quantity, Contact us for better pricing. 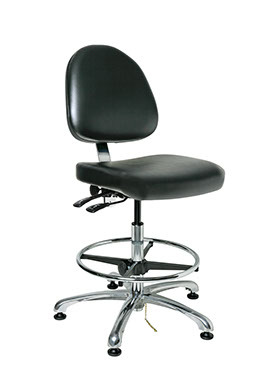 BEVCO�s INTEGRA � ECR series chairs offer around-the-clock reliability in the toughest critical environments.These chairs are static dissipative when measured to the ANSI/ESD STM12.1-2013 standards and have been tested by an independent laboratory to certify Class 10 (ISO 4), Class 100 (ISO 5), Class 1,000 (ISO 6) and Class 10,000 (ISO 7) compliance with FED-STD-209E/ISO14644.